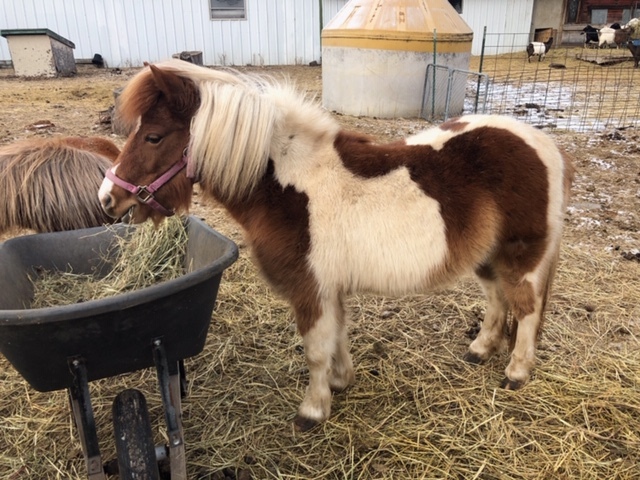 Salsa is a pinto mini mare who came to MHARF in a November 2018 humane case. She has had very little handling in her past and was not halter broke at intake time. She is learning to trust and is coming along well. 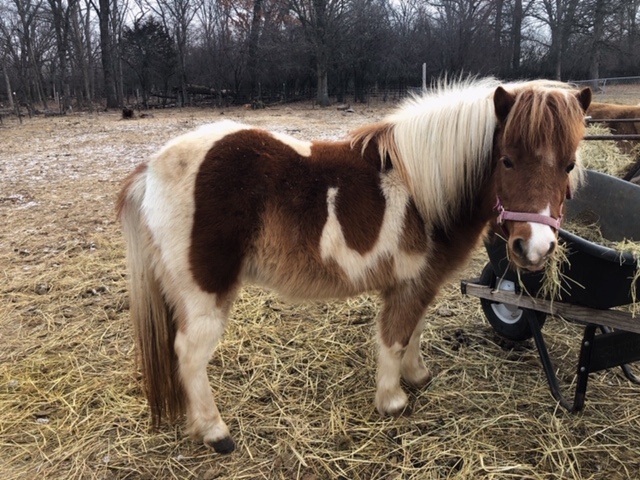 Salsa is 34.5″ inches tall and approximately 6 years old.